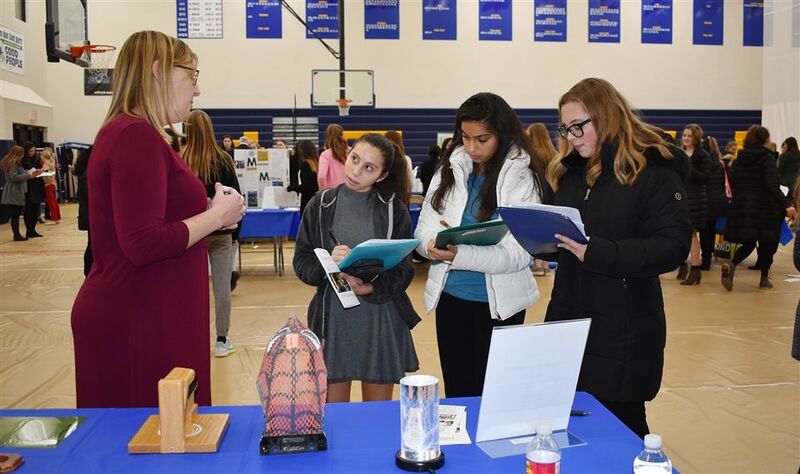 Each year, Marian High School celebrates STEM Week with special projects or activities in science and math classes, in addition to hosting a STEM Career Night for Marian students and junior high school students. In the science department, biology classes did a calorimetry lab; honors biology made terrariums; chemistry classes did a flame spectra lab, and honors chemistry classes separated mixtures based on physical properties. In the math department, Algebra I and II classes learned some computer programing, geometry classes designed roller coasters, pre-calculus and statistics classes sent Disney Princess dolls bungee jumping off the seats in the school auditorium, and students in AP calculus BC gave presentations about Sir Isaac Newton. In addition to these in-class assignments, students could engage in a variety of before and after school activities. These included a paper airplane competition, a two-day 3D printing workshop, paper making, writing programs for the TI-Nspire calculator, decrypting coded messages, a straw tower competition, coding with the OzoBot Evo, and more. The highlight of the week was STEM Career Night where the keynote speaker was Marian Class of 1998 Kristen Haubenreich Ansel. Kristen a Vehicle Safety Performance Integration Engineer working for General Motors specializes in occupant performance, currently for driver and 2nd row occupants. She graduated University of Michigan with a Bachelor of Science degree in mechanical engineering and a Master of Science in biomedical engineering at University of Michigan. She went on to Northwestern University to earn a certificate in orthotics. 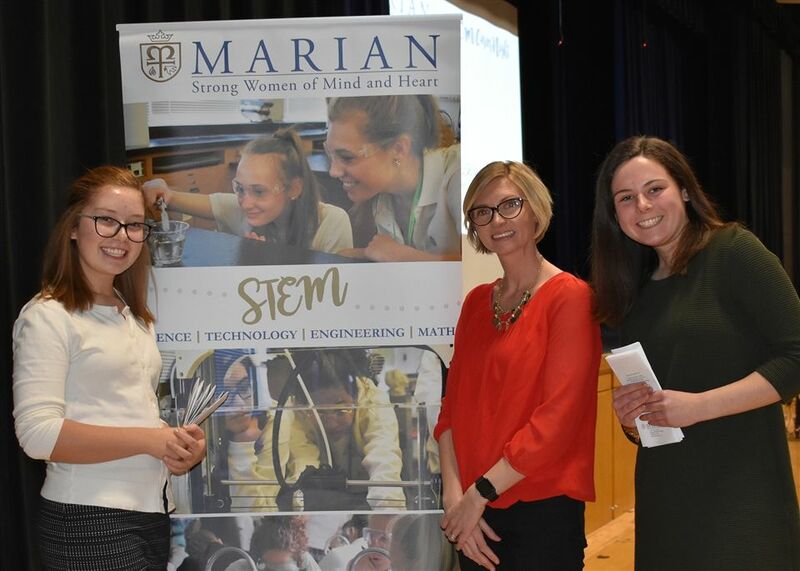 Kristen spoke to an audience of Marian students, junior high school students, their parents, and faculty and staff about the number of career opportunities in STEM, her educational path to her current position at General Motors, and STEM opportunities in the engineering field. STEM Career Night was designed to be a professional event mimicking a career fair with 33 break-out displays to visit. Many of the presenters were Marian alumnae, current parents and students. Stephanie McRoberts, Marian mathematics teacher, applied for a STEM grant offered by Toshiba America Foundation and Marian was awarded a $5,000 STEM Grant.